We are very pleased to welcome Professor Anne Schilder from UCL who joins the Macquarie University community as an Honorary Professor. Anne is an ENT surgeon and a trialist. She leads evidENT, a multidisciplinary clinical research team that bridges the University College London Ear Institute’s discovery science and the Royal National Throat Nose and Ear Hospital’s clinical excellence. an EU Horizon 2020 award for a phase 1/2 trial of local treatment with a Notch inhibitor aimed at restoring hearing in adults with sensorineural hearing loss. Anne is a Professor of Otorhinolaryngology at the UCL Ear Institute and at the University Medical Center Utrecht in the Netherlands and practices Paediatric ENT at the UCLH Royal National Throat, Nose and Ear Hospital. 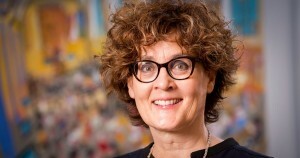 She is the Director of the NIHR UCLH BRC Deafness and Hearing Problems Theme, Joint Co-ordinating Editor for Cochrane ENT and National Lead for the NIHR Clinical Research Network ENT Specialty.